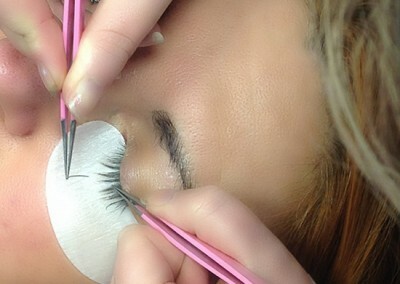 Includes Lash Tinting – A sensitivity test is required for this treatment. 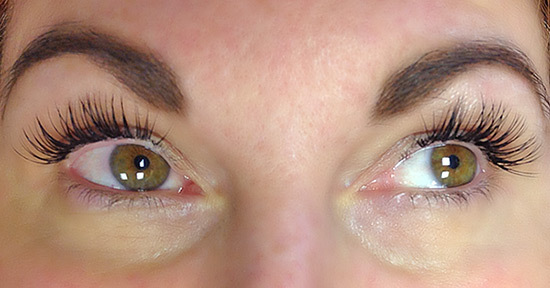 Forget mascara – now everyone can have bigger, brighter eyes with no makeup required. 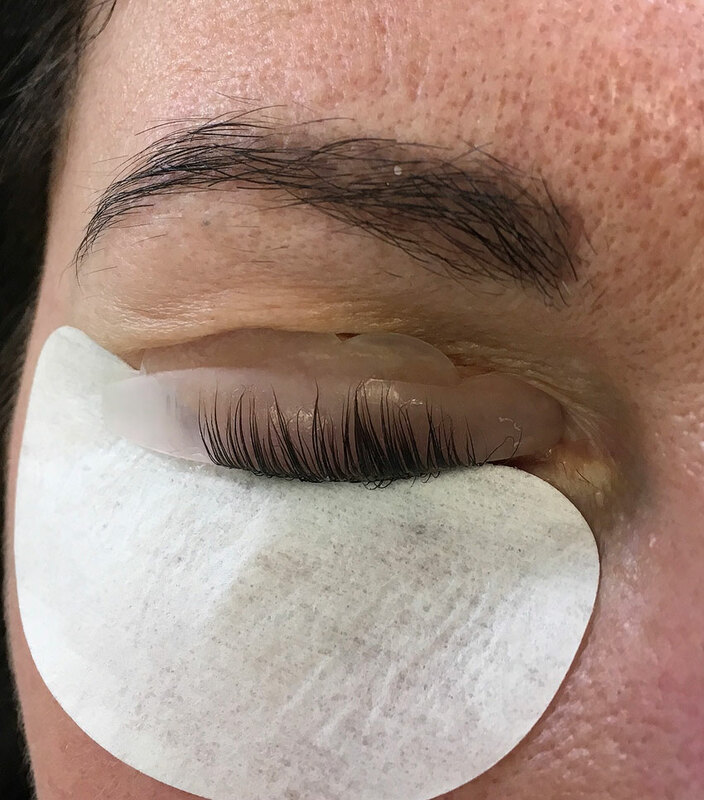 Gone is the old system of eye lash perming, along with advanced technology we now use a silicone pad which enables each lash to be individually lifted creating the appearance of fuller, curvier lashes. 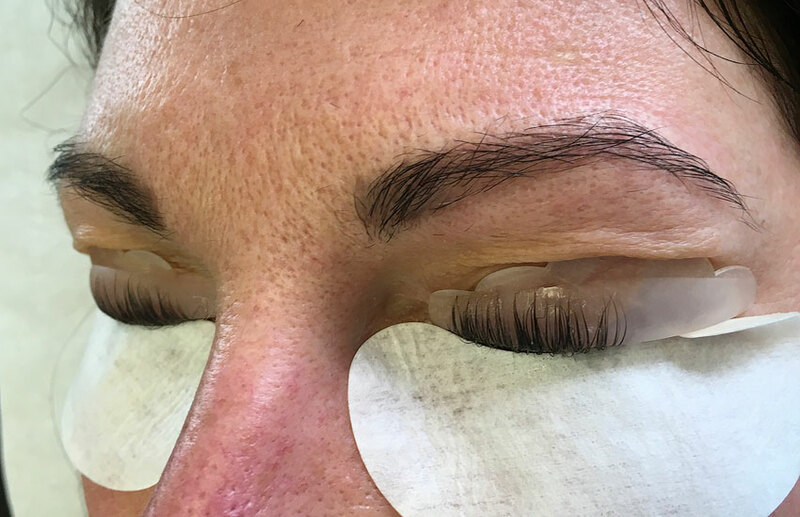 With the added bonus of being able to choose the size of the curl from small, medium or large your lashes are also tinted darker to make them stand out and pop. 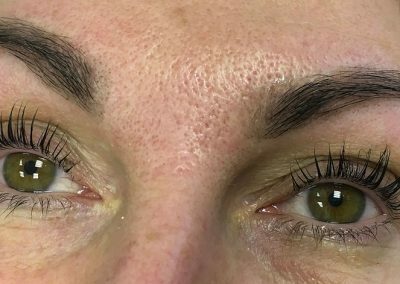 What’s not to love … who wants straight lashes when we can create a beautiful optical illusion, as curled lashes appear longer and more voluminous giving you a beautiful wide eyed look. 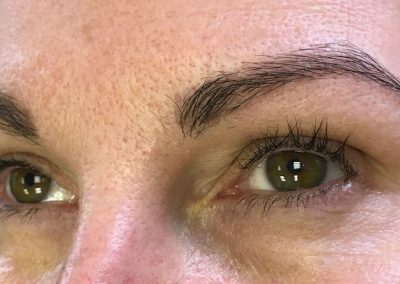 Lash lifting really is the quickest, easiest way to brighten and lift your entire face. 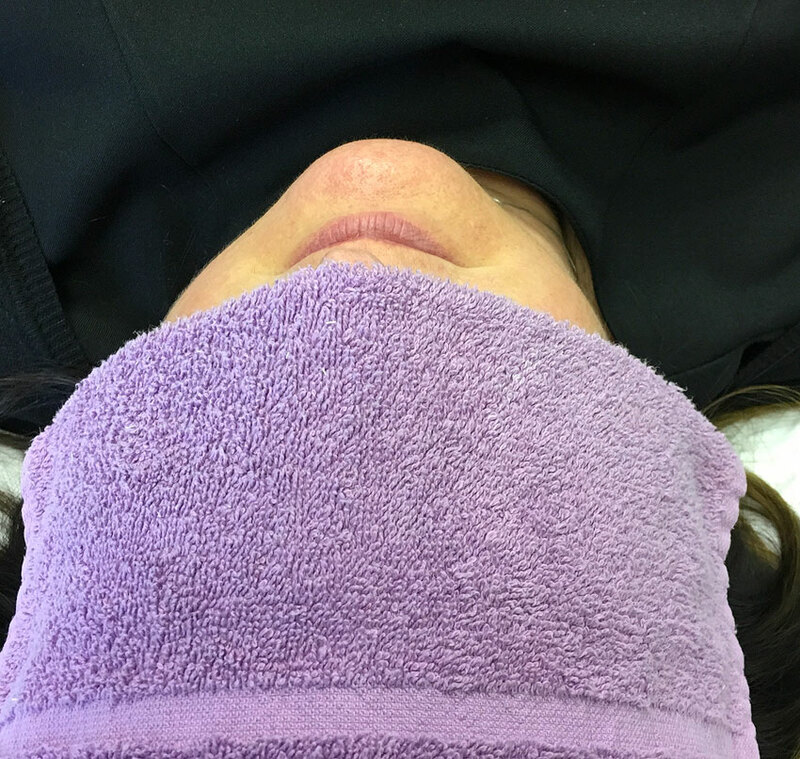 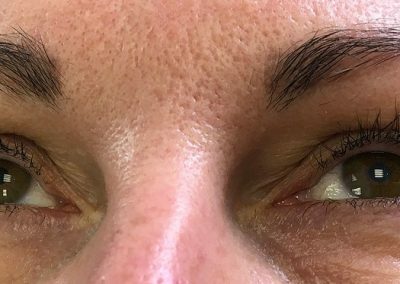 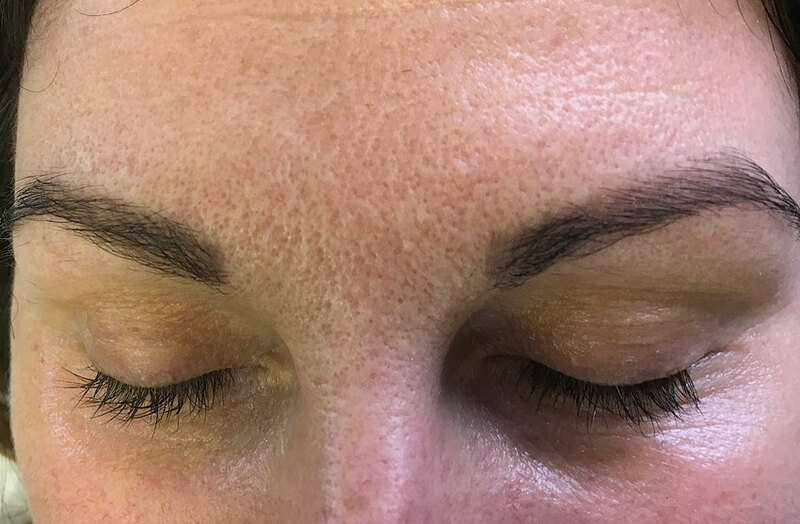 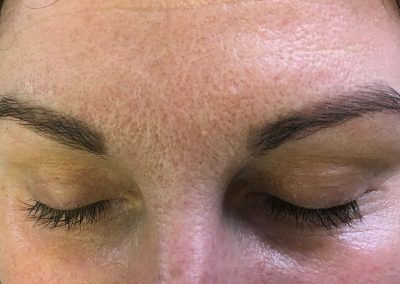 * The lift can last for 8 – 10 weeks which is the natural cycle of the eye lash depending on the length and quality of your on lashes, with the effect becoming less noticeable with time. 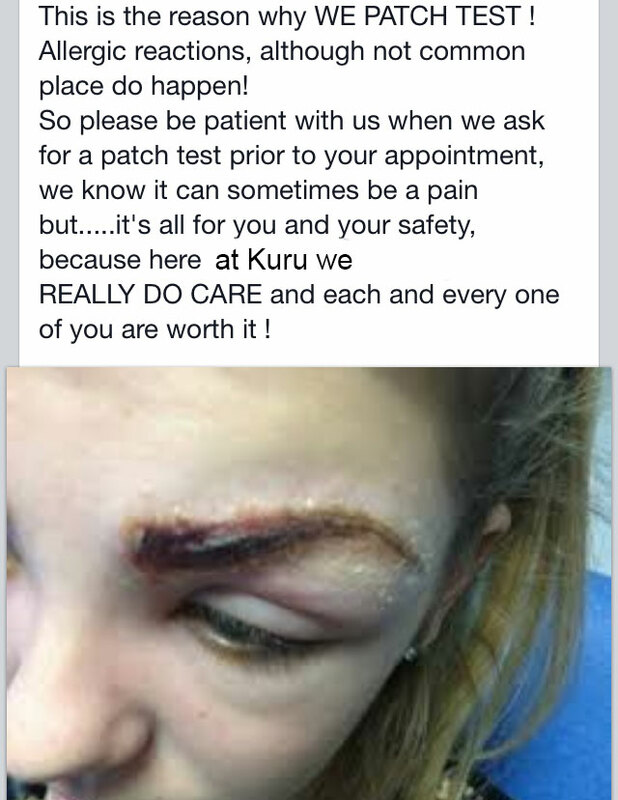 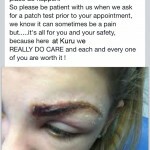 We advise that you don’t apply eye makeup for 24 hours. 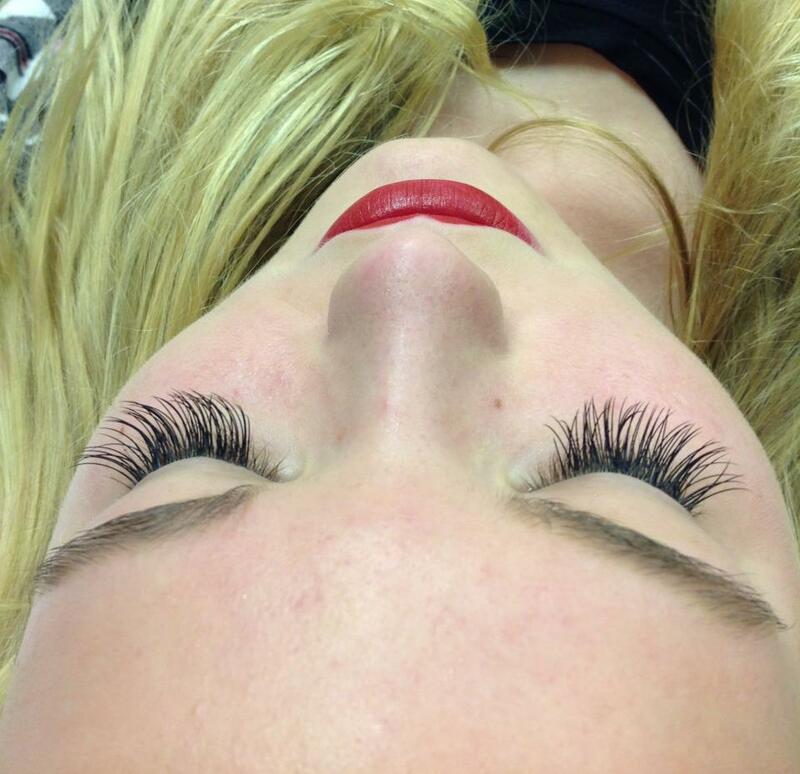 includes 1st infill which must be taken within 14 days of lash application. 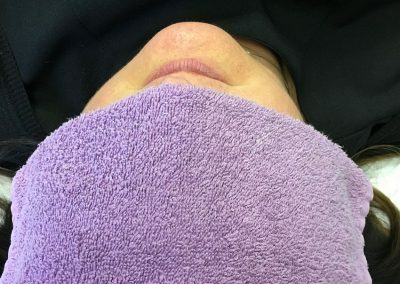 A SENSITIVITY TEST IS REQUIRED 24 HOURS PRIOR TO TREATMENT. 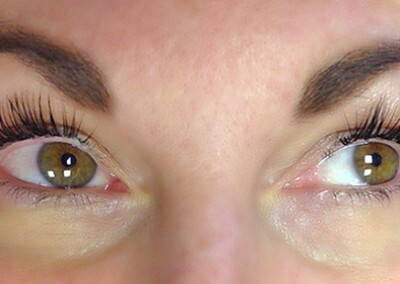 A full set of eye lash extensions magnifying your own natural lashes. 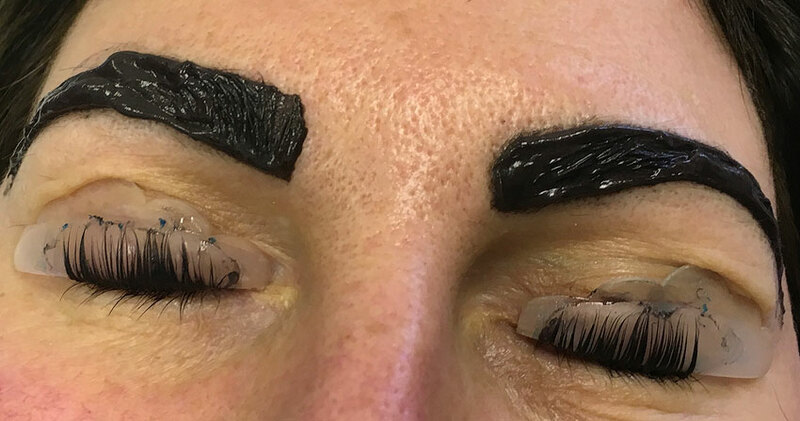 The look achieved will depend on you. 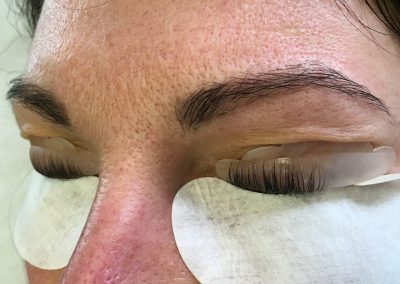 You decide whether you want full out glamour, soft and subtle or just a little more length and volume to awaken your eyes. 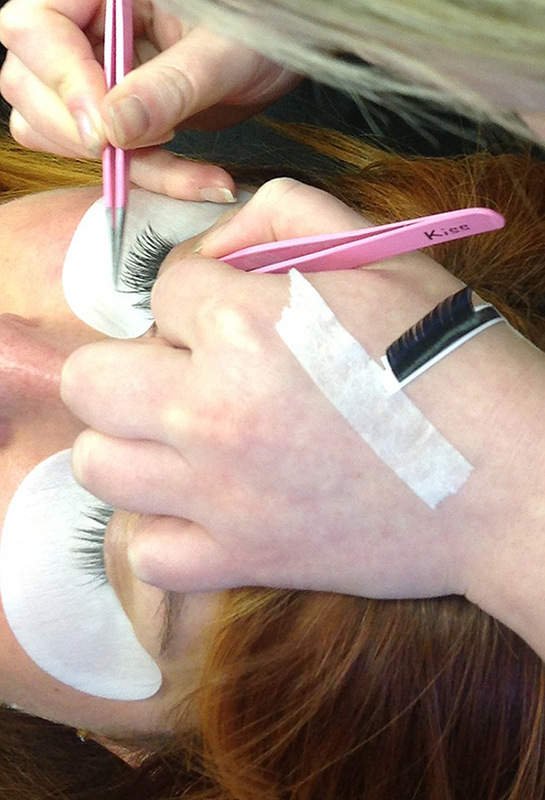 To maintain the look your lashes will need regular in-fills. 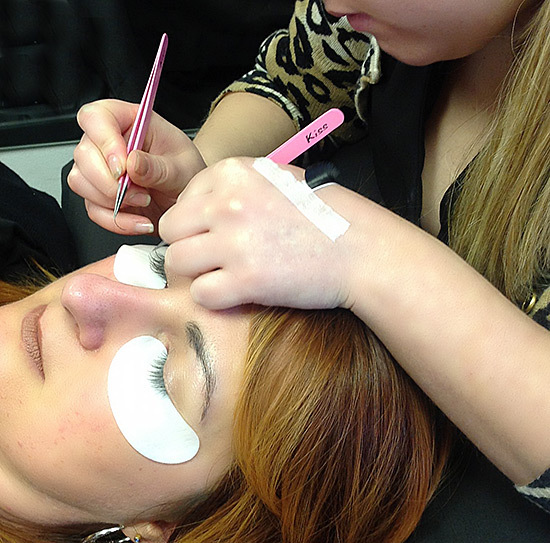 In-fills left longer than 3 weeks will be charged accordingly at the therapists discretion. 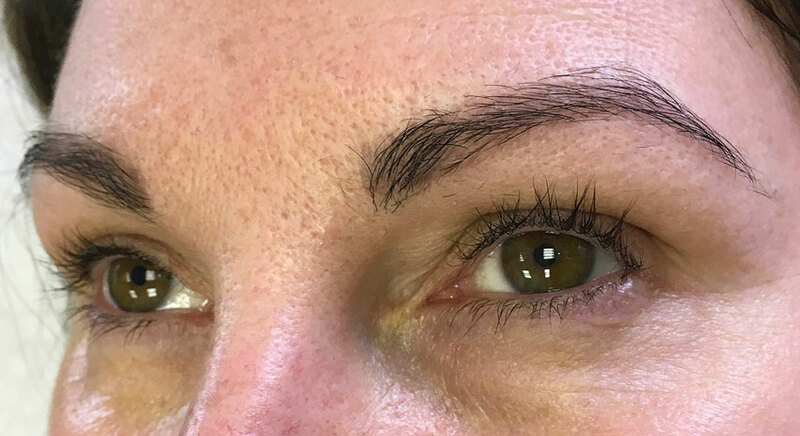 Removal – approx. 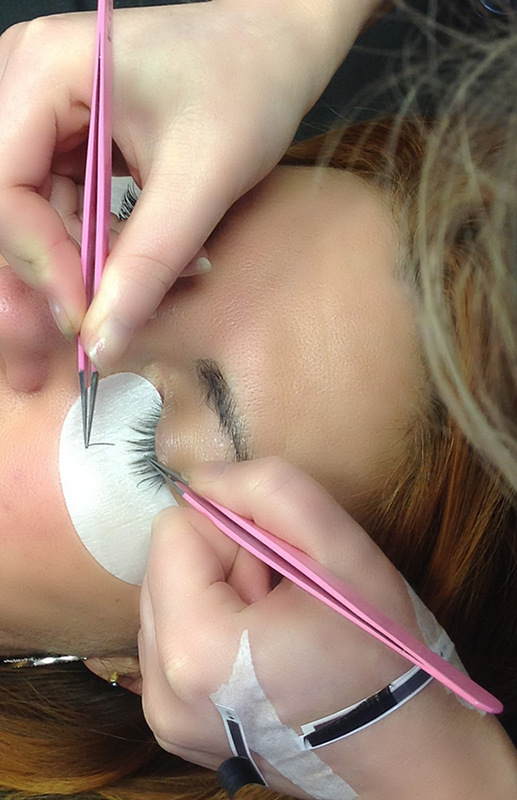 20 minutes – £12.50 – FREE if a new set of lashes is applied immediately. 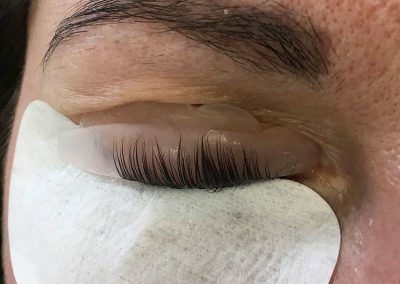 Compare the eyelash.com! 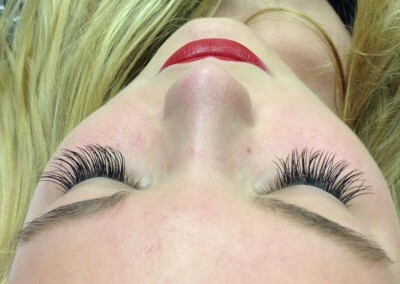 Kiss Eyelash Extensions. 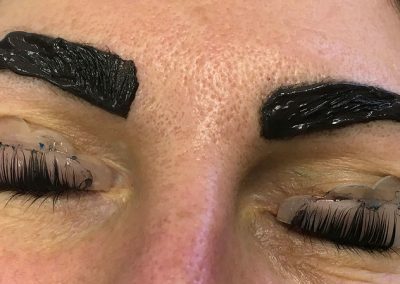 All done. 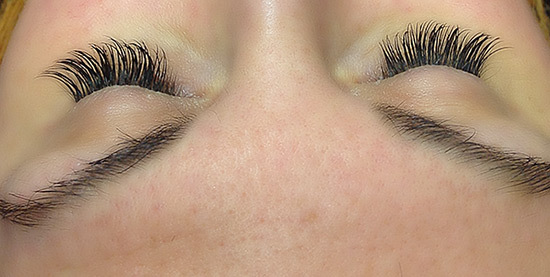 Completion of Kiss Eyelash Extensions. 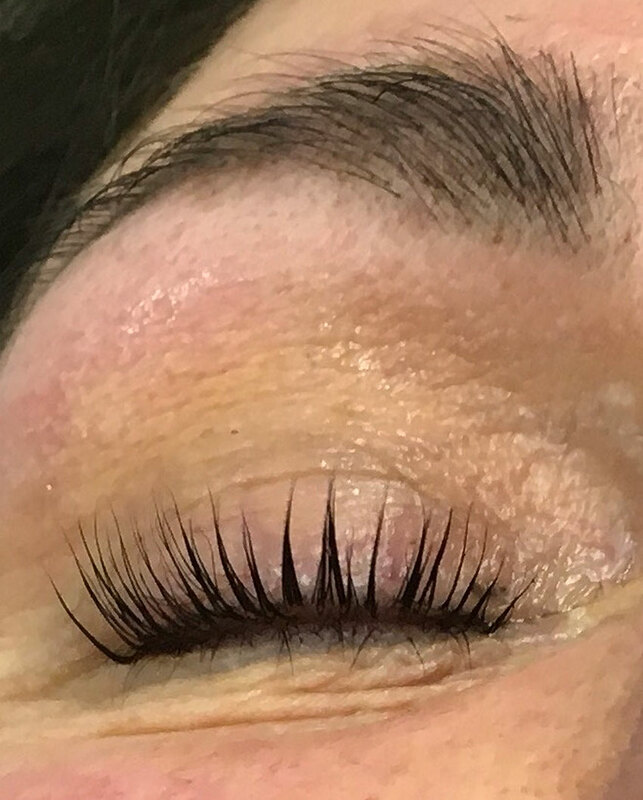 Another great set of “Kiss” lashes. 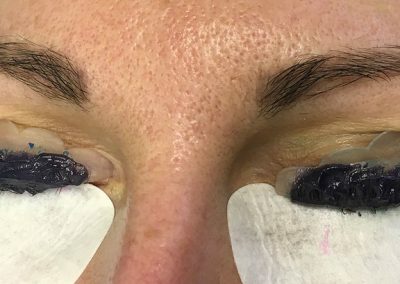 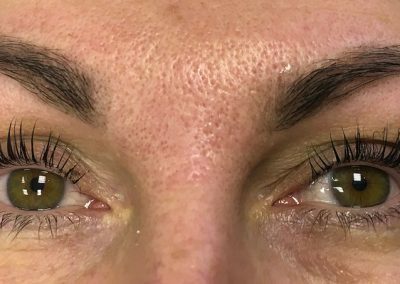 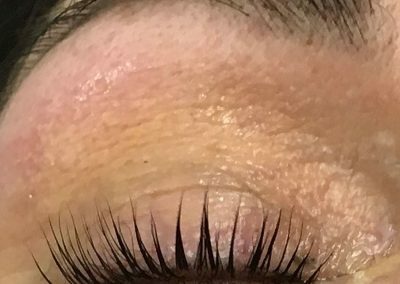 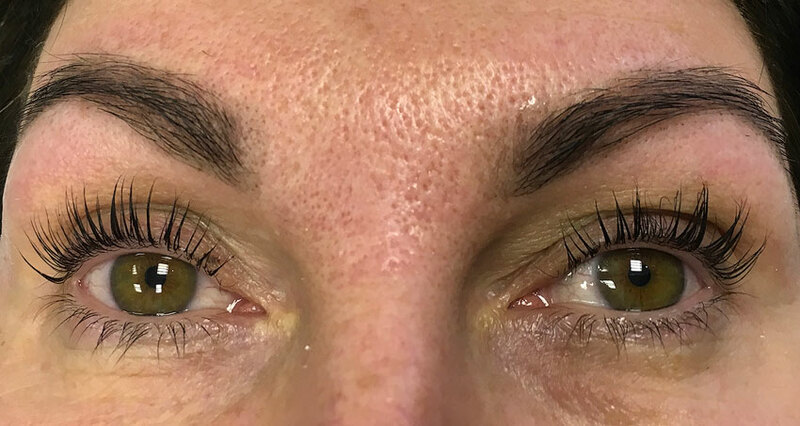 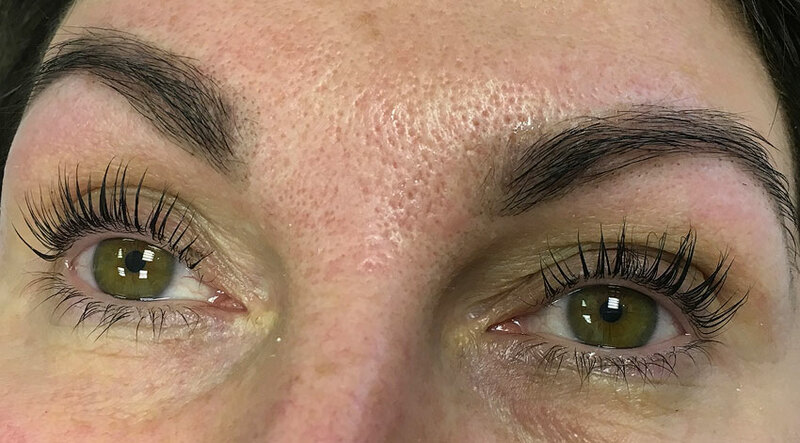 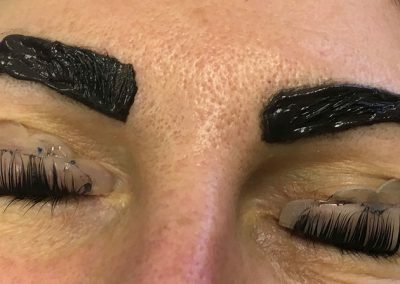 This is why we insist on doing a sensitivity test 24 hours before applying lashes, these lash extensions were applied without patch testing and consequently she had a reaction and had to have them all removed which was very uncomfortable.